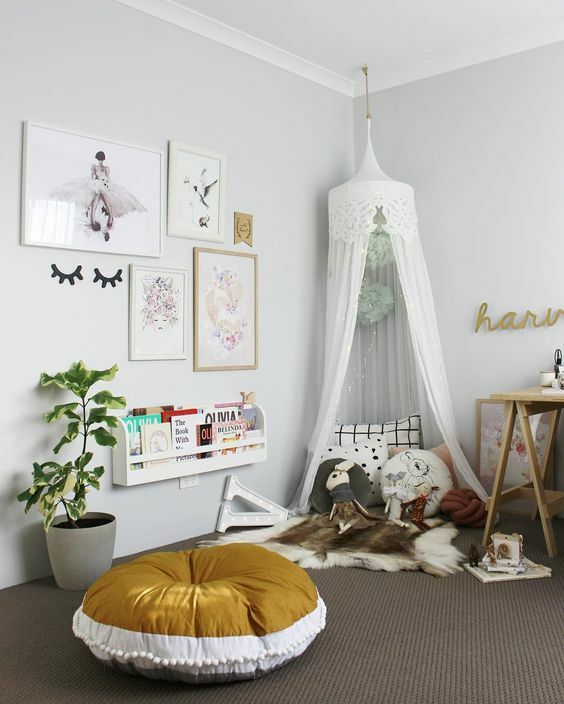 We all know that we have to consider children’s needs when we decorate a room for them. 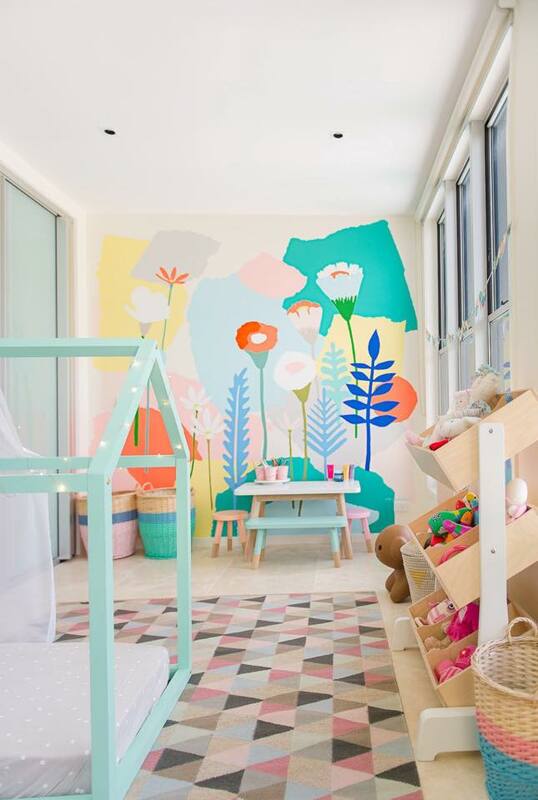 It’s important to limit every area and its function to make their lives easier and help them to differentiate all the activities they can develop in that space. 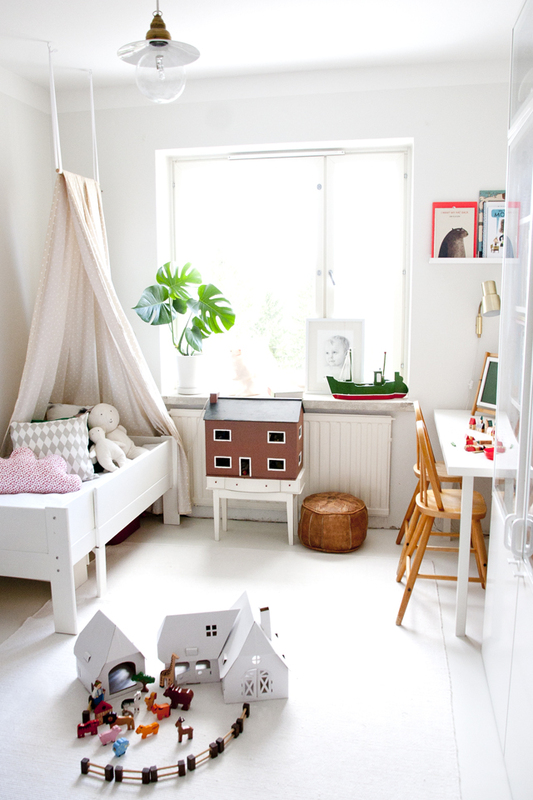 Of course, they will require a study, play and rest area but also a cosy place where they can play, read or simply relax. 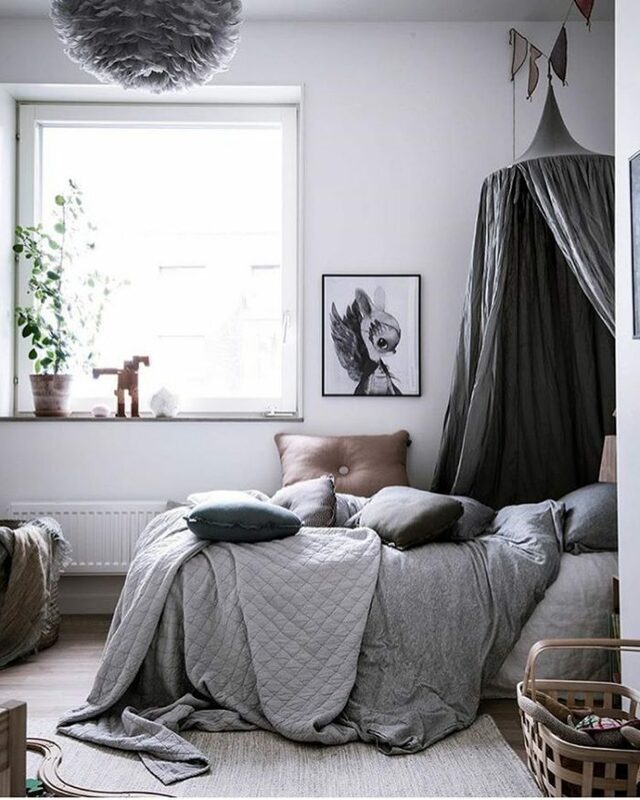 Hanging canopies are the perfect option to fulfil this need, they are not only cool but also a functional way to create their own corner to spend time with their friends and dream awake. 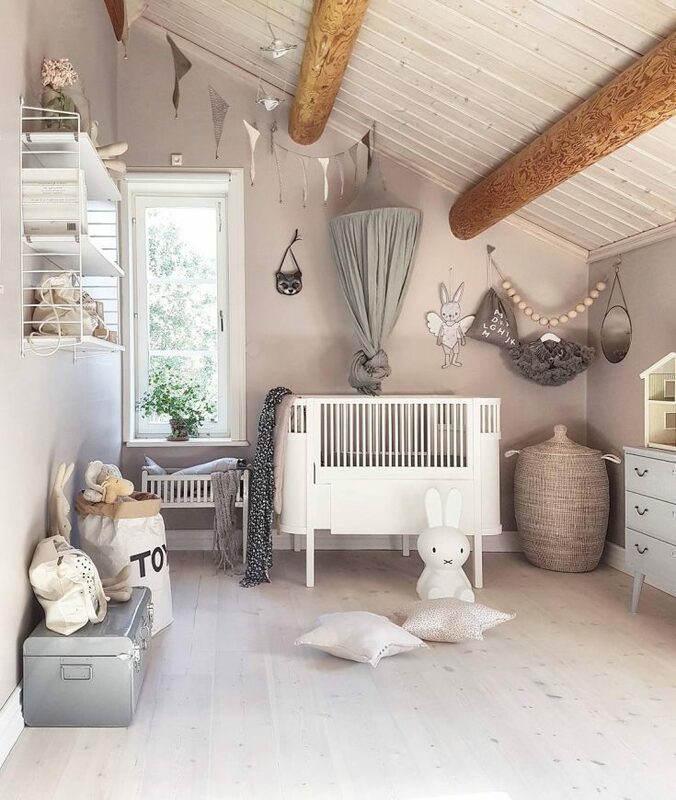 Today we bring you the most beautiful options to include this special piece in every single kind of atmosphere, getting always a wonderful and dreamy result. Are you ready to fall in love? 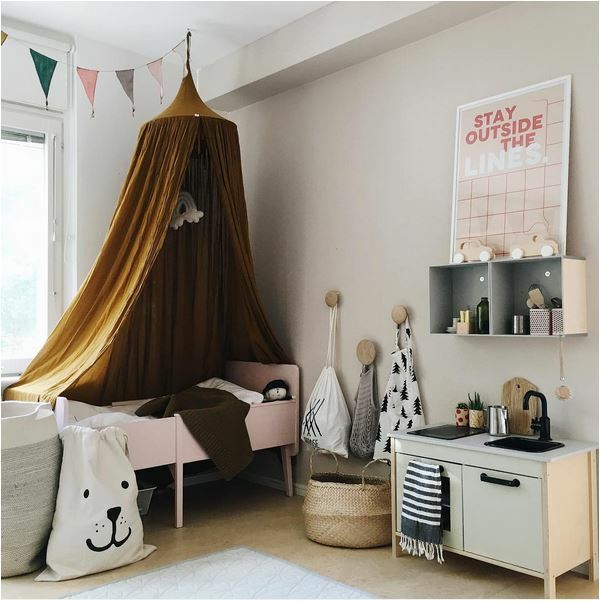 When kids are playing, their imagination wakes up to take them to the most fantastic places, a canopy will make them imagine princes and princesses’ adventures or stories about exotic places where they have their own kingdom. 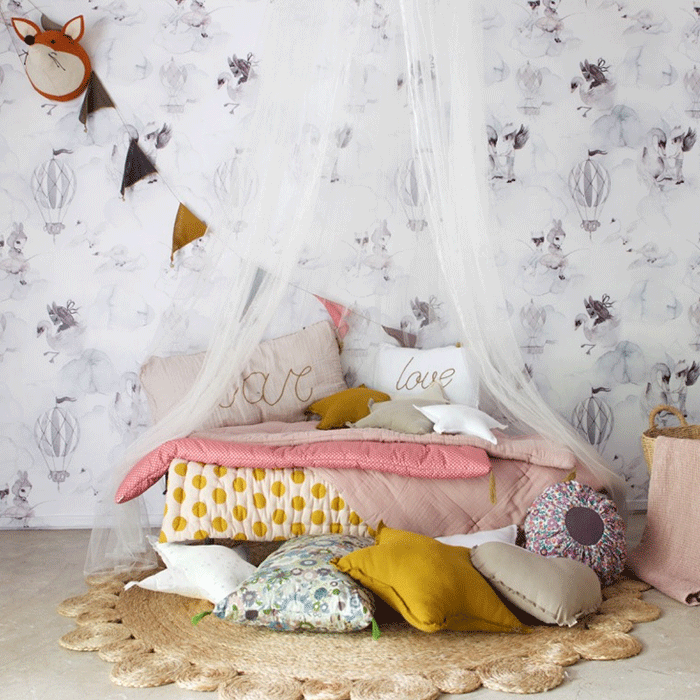 Include some cushions and a cute rug and you will get a perfect refuge! Magic is in the air! 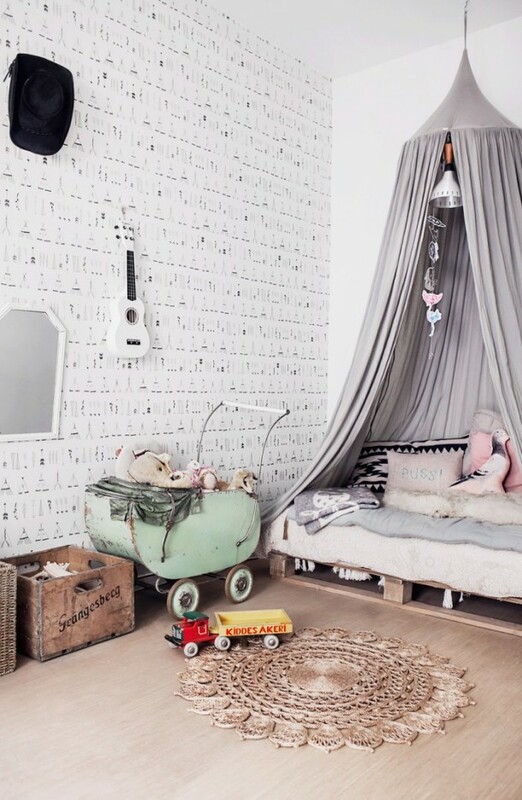 This piece will create a cosy look for the babies’ room. 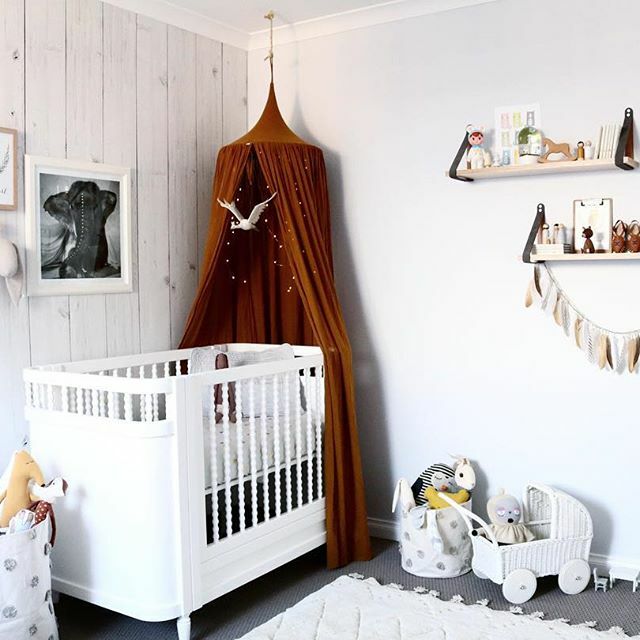 It provides a feeling of comfort and protection when it is combined with cribs; furthermore, it’s a good way to add a different element to make the room more personal. 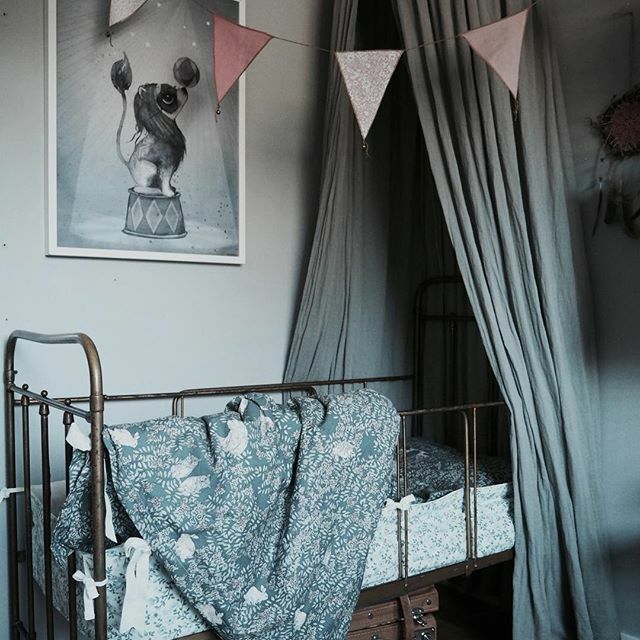 Have you seen those basic cribs? 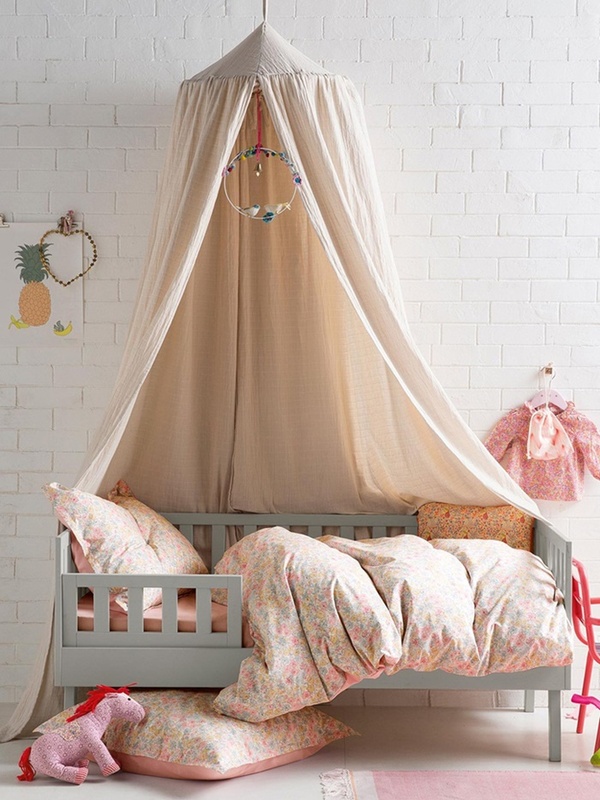 Canopies are the perfect element to enliven the whole set! 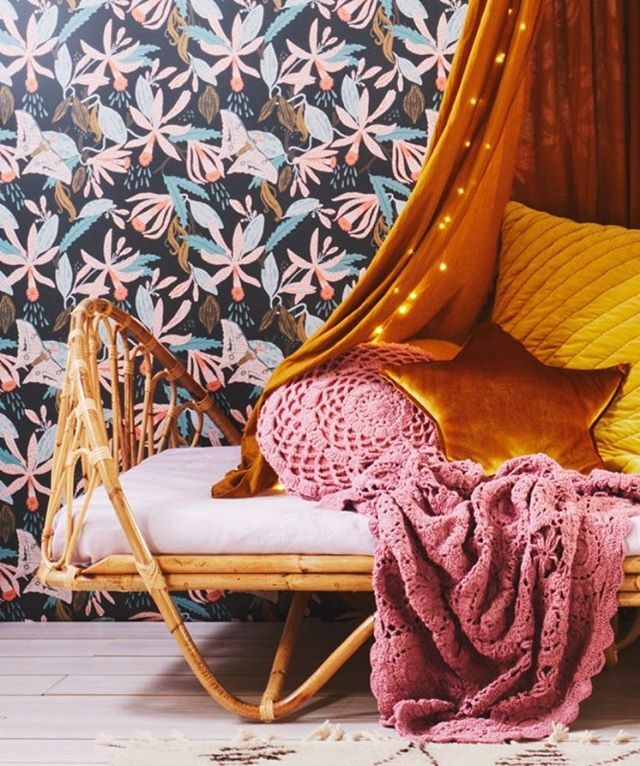 Vintage rooms are definitely stealing our heart! 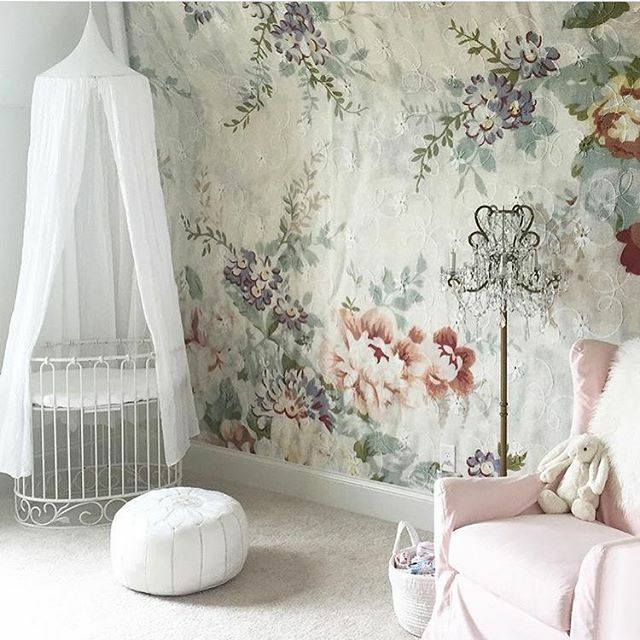 A hanging canopy will add a touch of magic and delicacy to the nursery, right? 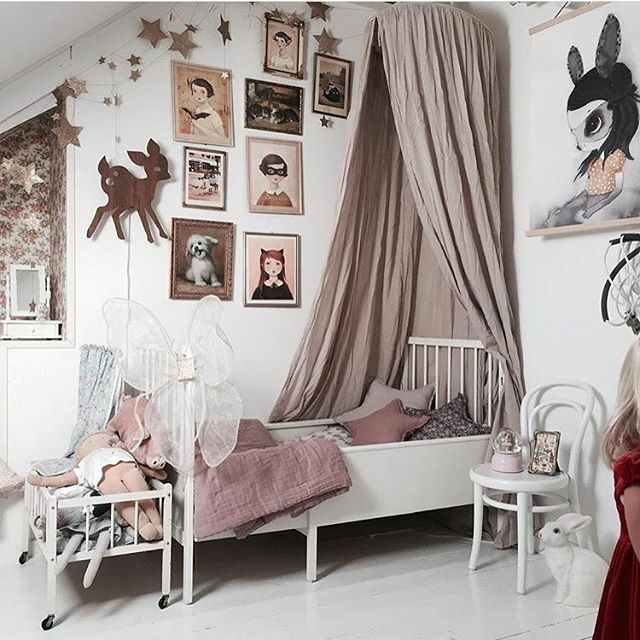 When they grow up, their room becomes their most special place in the world. 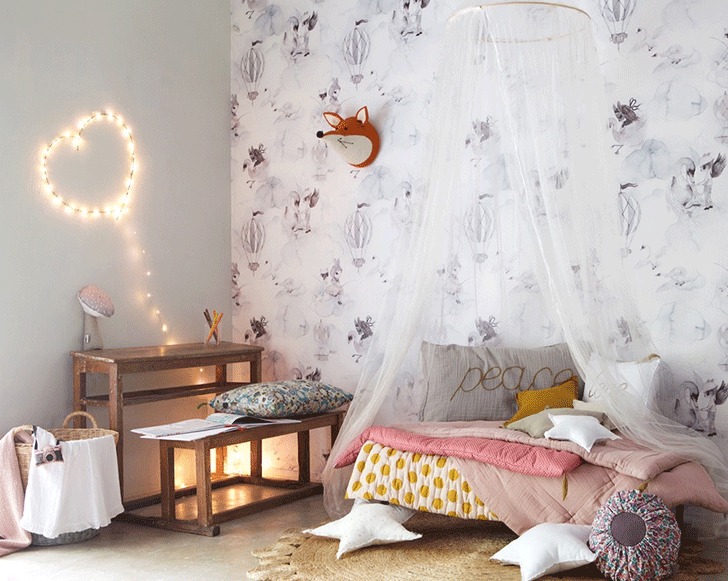 This space is often filled with fantasy and dreams, a personal universe where they can be and get whatever they want. Canopies add that “special and magic touch” to make them feel comfortable and unique. 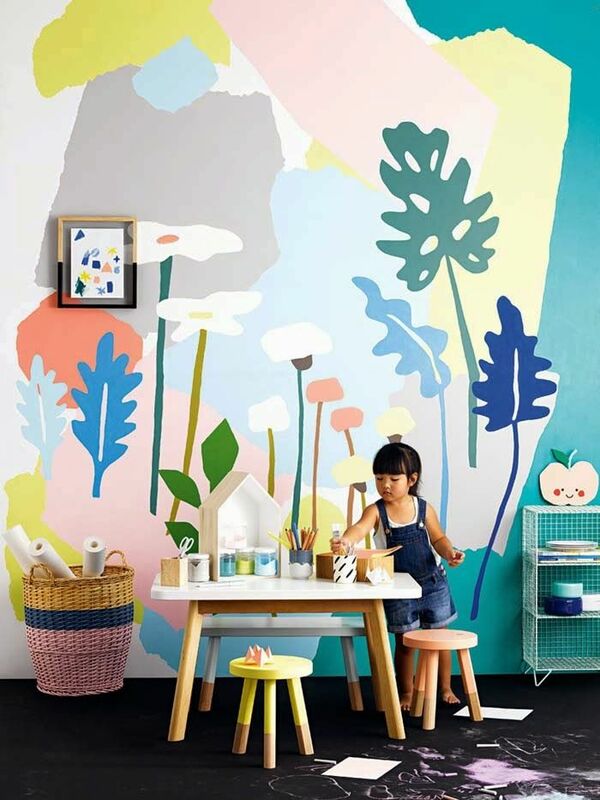 Use your creativity to find new ways to show this special product! You won’t be able to choose! 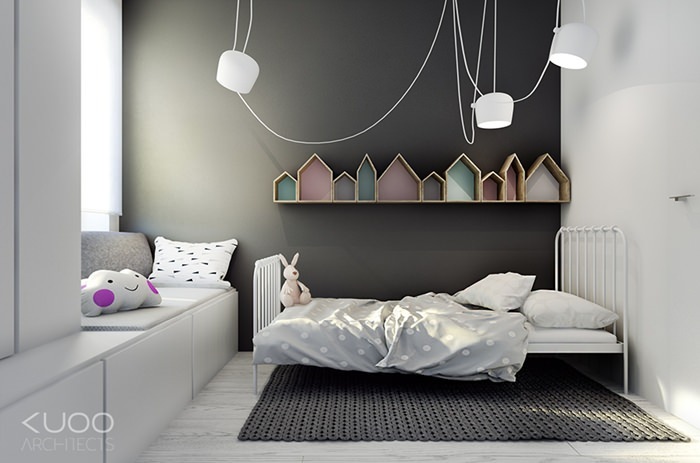 A simple change and you will get a totally different look in the room! 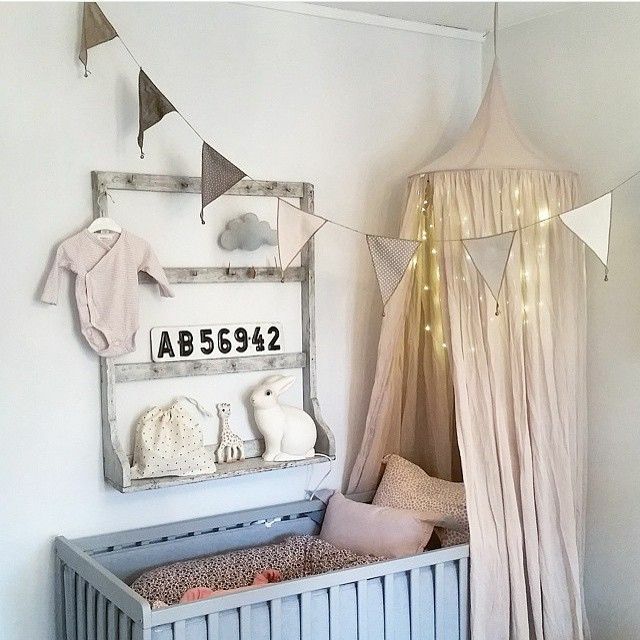 You can find canopies in gold, dusty pink, white, blue…the options are endless!! 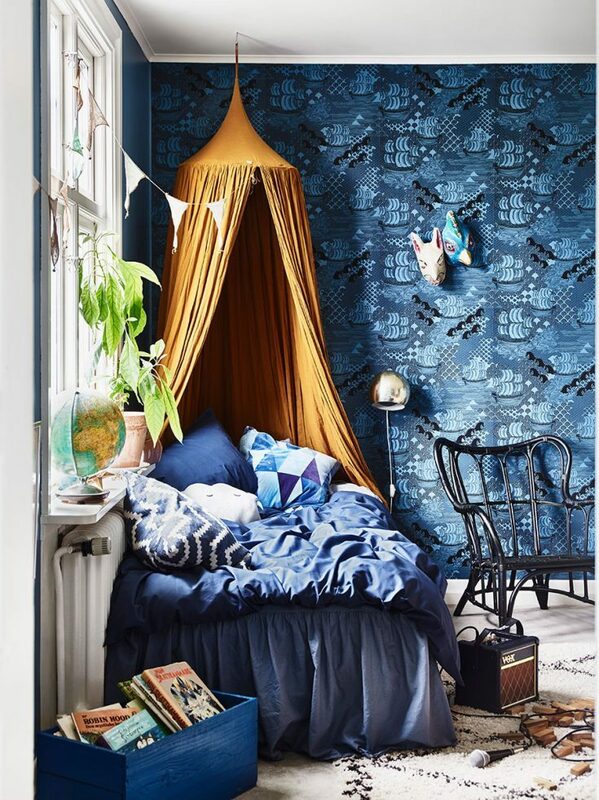 As you can see, they are perfect for any style of decoration: vintage, romantic, boho or nordic. As you can see, canopies can be easily included in every kind of atmosphere, they always show that sophisticated and wonderful look. 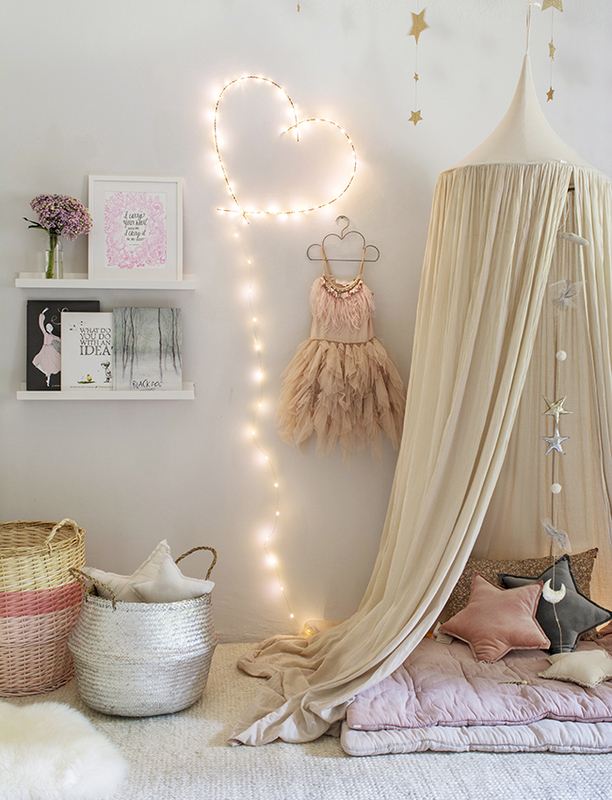 If you add some lights, they will feel they are in a real fairy tale! You can also knot it to get a different appearance! Let your imagination free!